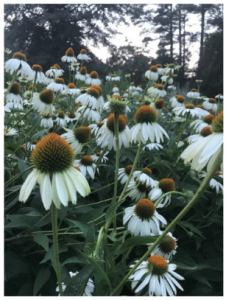 Echinacea purpurea “White Swan” replaces lifeless shrubs. 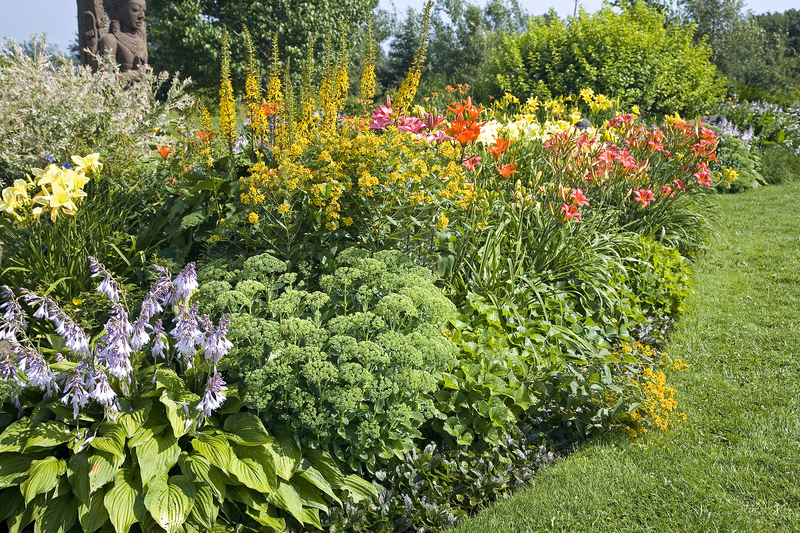 Have you ever given thought to creating a garden that will provoke particular emotions? In my own experience here in South Carolina, we bought a home with a landscape that was already installed. It was a lifeless garden of meatball shrubs and lots of mulch. No native plants with their normal insect and wildlife interactions existed. As a result, no emotional impact was present and I had no desire to be in the garden. Fast forward 7 years later and my garden provokes many emotions. How did it happen? First and foremost, I created a landscape that accidentally gave rise to certain emotions. When you walk though a garden of life both physically and visually, you will usually feel the excitement of being on a journey. There is an element of intrigue. Appreciation and Gratitude: Because I was grateful for the work pollinators perform in gardens, I wanted to express that love by providing for them. I also appreciate the colorful birds with their cheerful sounds. I knew mother birds needed caterpillars so I planted many natives that caterpillars love to eat and in turn created a salad bar of sorts for my bird families. This type of garden melts negative emotions, connects us spiritually, and enhances our life. It might be called Peaceful Activism. This garden of life nourishes our body, mind, and soul. Cheerfulness: When my garden came alive with thousands of visitors enjoying the flowers and seeds, it brought me joy and happiness. I suppose it was the generosity and giving to others that caused the emotion of cheerfulness. These creatures could not do this for themselves and expressing love to them by providing their food connected me to the bigger picture and to nature itself. We were a team working together. It certainly increased the joy in my life and made others happy that visited this garden of cheerfulness. Connection to the Greater Good: Contributing to nature whether it be the dwindling monarch population or the struggling pollinators, this simple act of kindness can’t help but bring a feeling of fulfillment to anyone. It gives one passion and purpose lifting you into a new radiance and vitality. It also cultivates excitement. 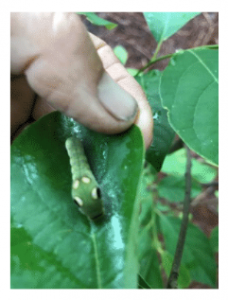 A spicebush caterpillar rolls itself up in a leaf of a Lindera shrub to protect from predators. Curiosity: This simple word can eliminate any task as being a chore. One only needs to watch the awe in a child as they lift a small rock in the garden to examine the life there to know what curiosity does for us. You might unfold a spicebush leaf to find a butterfly caterpillar there or watch a bumblebee grab a tomato flower and buzz it’s body to release the pollen granules. Curiosity is always present in a garden full of life. The Serenity of Water: It’s hard for me to decide whether its the sound of water or the life that visits it that brings me peace and joy. In my last home, I had a small wall fountain right outside my kitchen window. The sound traveled through my home which was wonderful, but the birds there were often visiting the water brought me so much joy. 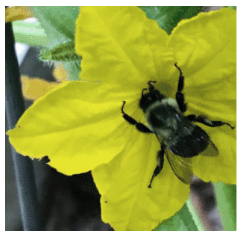 Bumblebees love the yellow flower on this cucumber plant. I barely visited the lifeless garden that was here when I moved into my current home. 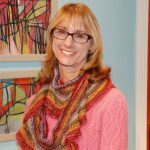 When I did, it was to do mundane chores such as trimming, weeding, and mulching overgrown shrubs that I did not like. I was in a foul mood, complaining and dreading the work. Today, it is an adventure. Everyday there is a new change throughout the seasons. Even in the dead of winter things are going on. Someone asked me the other day, “A garden must be a lot of work.” I replied, ” No, it isn’t. I spend many more hours in it than my old one, but no, it isn’t work.” Maybe you will find that you would like a garden that enhances your life, brings you joy and happiness, and a feeling of fulfillment and curiosity, passion, and purpose. If so, a Pollinator Garden may be for you!